Count the number of times you’ve heard the expression “You are what you eat.” OK, so you can’t. Too many. While the saying has a lot of truth to it, good or bad for your sake (depending on how you structure your diet – assuming there IS structure to it), there’s more that goes into this subject, and by that we mean what goes into your body. Your body is a magnet and receptacle for many things, not just what you eat, and therein lies the danger – the bodily accumulation of toxins through various environmental factors. The trick is to get rid of all that yucky gunk. 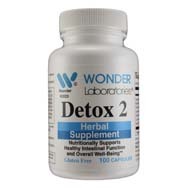 Detoxification is a body-treatment process available in numerous forms, all designed to rid your body of various toxins, many of them introduced via environmental sources and contributing to unwanted, unpleasant conditions and chronic issues. These include allergies, heart disease, asthma, depression, headaches, diabetes, obesity, digestive issues, chronic fatigue syndrome, fibromyalgia – you name it. The list goes on and on. If any of this rings familiar to you, don’t lose heart – toxins have been invading and getting unwittingly stored inside our bodies for centuries, giving rise to detoxification treatments dating back thousands of years to healing systems such as Ayurvedic medicine. 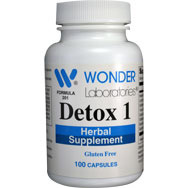 Medical practitioners, most notably those connected with various forms of holistic medicine, have used detoxification methods to treat many conditions and to prevent illness, per medical-dictionary.thefreedictionary.com. What Are These Toxins and Where Do They Come From? Let’s have some fun with this un-fun subject. If you were to play Family Feud and asked to give the most popular answer to the question “What is the most common source of harmful toxins?” your off-the-top-of-your-head response might be environmental pollutants, and that would be correct. It has been estimated that one in four Americans suffer to at least some degree from heavy-metal poisoning, with culprits such as lead, mercury, cadmium, and arsenic occupying our bloodstream, per medical-dictionary.thefreedictionary.com. It’s not like we can avoid taking on an influx of toxins by following a strict list of do’s and don’ts. Because humans are at the top of the food chain, we are exposed to toxic substances in the food supply, for which we might be unaware. Pesticides and herbicides are sprayed on grains fed to farm animals. They in turn get sticks of synthetic hormones and antibiotics, and guess what ends up on our plates and later in our digestive systems when we sit down to eat meat products? 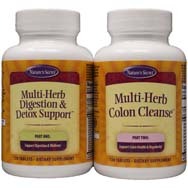 Detoxification entails cleansing of your blood, per gaiam.com, mainly through the colon and liver. The goal is to eliminate these embedded toxins from our bodies, thus reducing our risk of disease and illness directly linked to the presence of those toxins. Think of it as a housecleaning that can be suitable for any season, not just in the Spring. “Anybody can benefit from a cleansing,” says Linda Page, a naturopathic doctor and author of the book “Detoxification,” quoted at webmd.com. 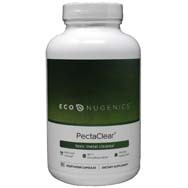 “Anybody can benefit from a cleansing. . . . It’s a way you can jumpstart your body for a more active life, a healthier life.” It’s a way to recharge, rejuvenate, and renew, is how Page sums it up. Page is an advocate for what can be called a detox diet, that has its basis in fasting, even if it’s just for a weekend. Start out with a green salad Friday night, she says, then focus on vitamin C-laced fruit juices early Saturday. Later in the day work in some Miso soup with chopped sea vegetables or another option that features a cup of brown rice with chopped veggies. Otherwise, drink fluids every 90 minutes to two hours, while also mixing in some “cleansing boosters” that include herbal laxatives, colonics, probiotics and antioxidants, as well as various relaxation techniques. Detox alert: Be sure to run all this, or any other detox program you are pondering, past your doctor first. Herbal supplements. 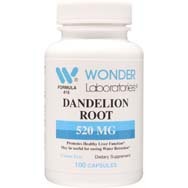 These include echinacea, garlic, dandelion root, sage, and ginger root. Go to medical-dictionary.thefreedictionary.com for a more complete list. Dietary change. Emphasize foods that are low in fat, high in fiber, and vegetarian-centric with a focus on raw foods. 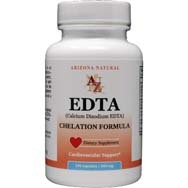 Chelation therapy. 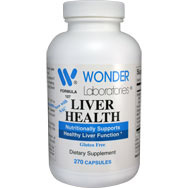 Employed by detoxification experts or through the use of products like EDTA to eliminate heavy metals from bodies. Sweating therapies. The skin is a major organ that can help eliminate toxins by releasing those that have piled up in subcutaneous fat cells (found under the skin). Saunas and therapeutic baths are a good place to go and get your sweat on. In fact, exercise works as well.